Check out the free demo for the game that IGN praised as “A World War II the likes of which you've never seen”. 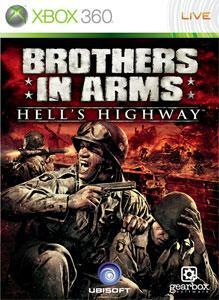 Experience the amazing graphics and sound, compelling storyline, and new gameplay features that make the critically-acclaimed Brothers in Arms: Hell’s Highway more realistic than ever. Join Sgt. Matt Baker and the 101st Airborne Division as they begin the battle to open the infamous Hell’s Highway in a daring bid for a quick end to the war.